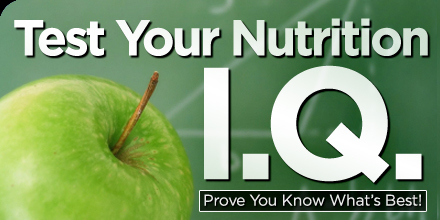 Test your nutrition knowledge . . .
Take a look at the quiz and note down your answers. If you’re on track with things and answer correctly then kudos to you! You probably don’t need any tweaks to your nutrition plan. 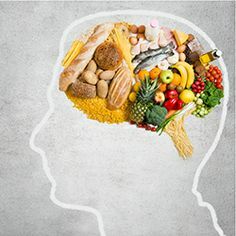 On the other hand, if you get more than a couple questions wrong you may consider getting help with the nutrition component of your fitness regime. I know it took me years to finally figure out that I needed to hire someone to help me reach my goals. In high school I thought having a croissant and chocolate milk was better than what my friends were eating, chicken fingers and fries. If I knew back then what I know now I would have just ordered the chicken fingers! At least I would be getting essential protein in my diet versus just fat and sugar lol. Are you ready to test your nutrition IQ? I’ll post the answers at the bottom of the page. And for fun please feel free to comment on facebook about any of these questions or if you want an explanation to any of the answers below. Don’t believe the Nutrition Labels YOU read!! A Client’s Story: His journey back to his ‘younger’ self again, but better! Something we should all be doing daily..